Seedling from A. 'Little Carlow', even more floriferous with a mass of single soft-blue flowers on dark stems from September on. Very vigorous, 100-120cm. high. Sturdy stems, 90cm. 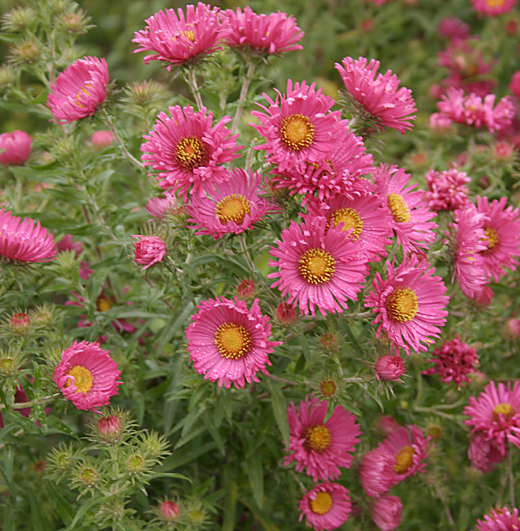 high, carry heads of really bright luminous pink daisies. (syn. 'Autumn Snow') A German introduction with large white flowers on bushy branching stems. 90cm. high. Strong, upright stems carry heads of very deep reddish-pink flowers, From September onwards. 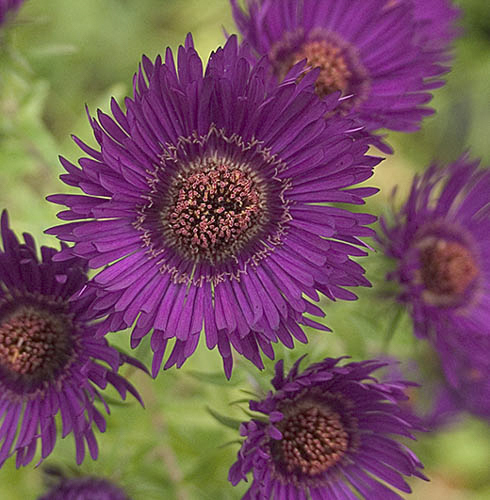 Pure dark-violet flowers with yellow centres on tall stems. 120cm. high. From September onwards. Yellow centered, clear sugar-pink single flowers. 120cm. high. 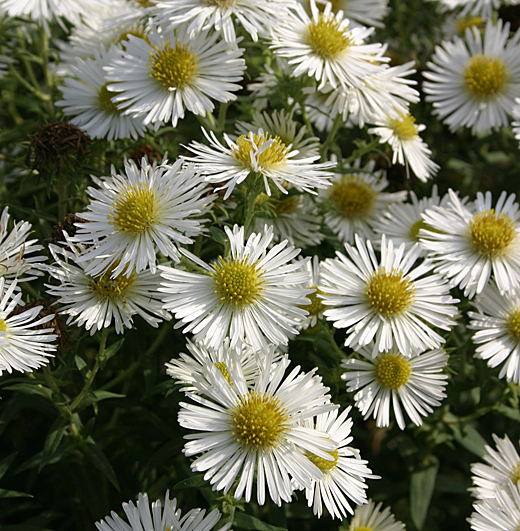 Vigorous upright clump-former with strong stems of clear-pink flowers in autumn. Sun or part shade, 120cm. high. Well deserved AGM for this lovely cultivar. Large double pink flowers produced in profusion during September and October. 90cm. high. A favourite cultivar with strong upright 90cm. 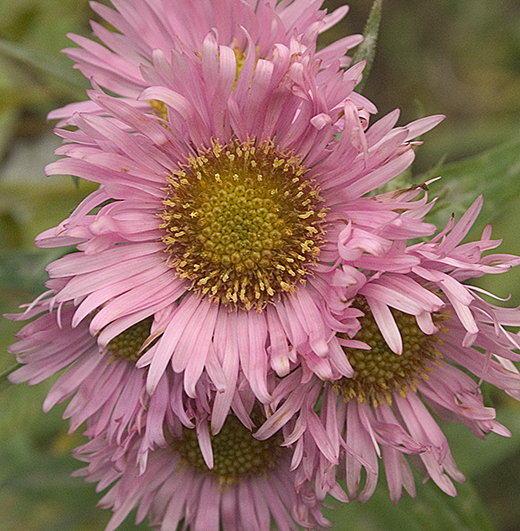 stems which carry masses of tiny, pale-pink yellow-centred daisies. Creates a dainty starry effect. Beautiful late flowering Aster with masses of lavender-blue daisy flowers from September onwards. 120cm. high. For sun and ordinary garden soils.